Why isn't Hollywood makeup artist Julie Hewett's cruelty-free makeup collection more famous? Just LOOK at those shades! Rosy, taupey, purpley and peachy neutrals. Of course I had to have them! Julie Hewett decided to launch her own line of products when working on Pearl Harbour, after she found there was a dearth of products that could be used for the "old Hollywood glamour" look. So how did I get to know of her makeup? In December, when my skin was so bad that I could not even cleanse properly, let alone moisturise, I had to rely on face mists for moisturising . I picked Julie Hewett's vegan Cucumber Water on a whim and fell in love with the mist - it smells just like cucumber and feels divine on the skin. I knew I would explore more from the brand before long. Scroll down for review and swatches of the Julie Hewett Breathless Makeup Palette, and an eye makeup look. The external packaging is functional, and not much to write home about. The palette is deceivingly small, making it perfect for travel, but the eyeshadow and blush pans are generous. It comes in a clear pouch, rather than a cardboard box. The palette itself is basic black plastic. Inside, you get 16 eyeshadows (no shade names), and a sponge applicator. The lid does not open all the way to 180 degrees, but no biggie. 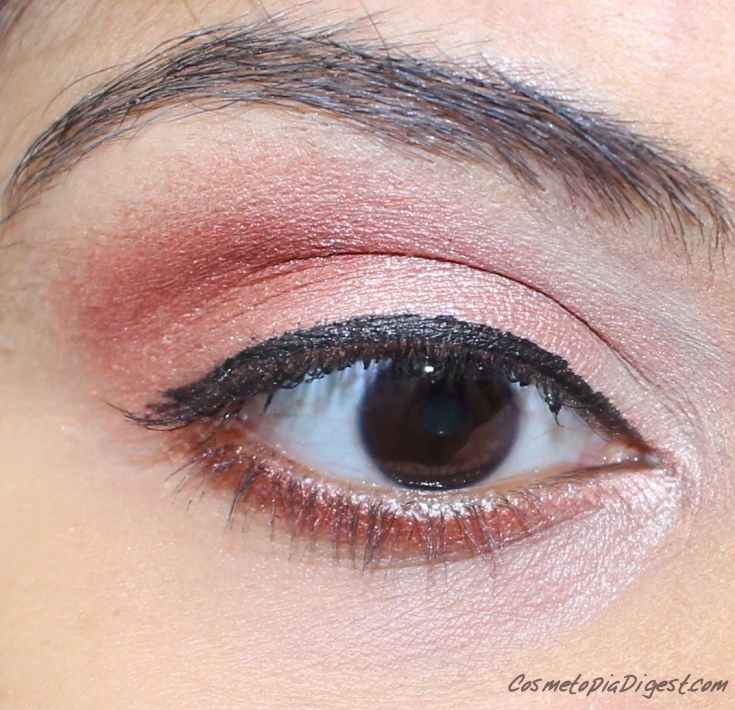 There is a second compartment beneath the eyeshadows that slides out to reveal four blushes. Normally, large palettes lose out on quality - all the eyeshadows are consistently well-pigmented and beautiful. Full coverage. Stays on beautifully through the day. No creasing or fading. No complaints. Finishes are a mix of satin-mattes and (mostly) shimmers. These contain jojoba, grapeseed and lichen extracts and are paraben- and gluten-free. Some shades do feel dry to the touch but I have no complaints at all when it comes to application. Like almost all powder eyeshadows, some shades kick up a bit of powder within the pan but there is no fallout from the lids. Can we talk about shades for a minute? Three eyeshadows in the first row are peachy neutrals. The next four are rosy and plummy neutrals. The second row is a mix of taupe and purpley neutrals, with a black thrown in for good measure. A nice mix of warm and cool tones. There isn't even ONE shade in here that I cannot use. And, NO meh-brown neutrals. The blushes are beautiful. Two mattes, one satin and one (mild) shimmer. The palest is a highlighter on me. I love the peachy and coral blushes. However, the barbie pink blush isn't my thing at all. It is the only product in the palette that I cannot use. Bare skin, no primer; natural light. The four blushes - very lighthanded swatches, overcast cloudy light. That barbie pink blush is a disaster on me. The others are fine. 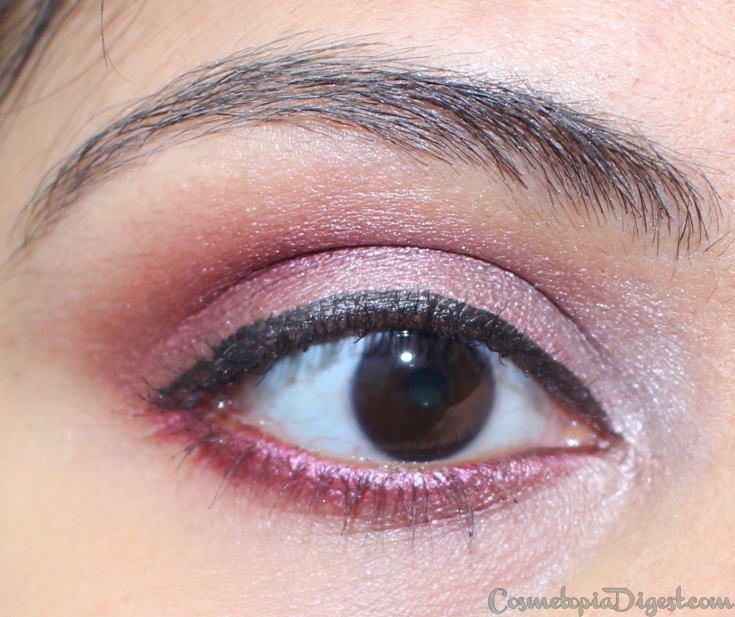 I have done two more makeup looks with this palette, but will show you those as FOTDs later. These are my favourite looks with this palette. I've used the wine eyeshadow from the top right corner on my lower lashline. This is my dream neutral palette. I've often wished for some of those meh-brown neutral eyeshadows in other palettes to be replaced with rosy, peachy or purpley neutrals - this is perfection. Not too warm, but not entirely cool-toned either. Normally, in a 12-eyeshadow palette, I find I cannot use two to three shades on my skintone. In this case, I can use all the 16 eyeshadows, and three out of the four face powders. I usually don't love large palettes, and multipurpose palettes with face and eye products. This is the exception. Beautiful. I have to check out Julie Hewett's lipsticks next - apparently those are mindblowing, and there is a red for every skintone. Since I have to find something to gripe about, it's the sponge applicator. They could completely avoid it. Or add an eyeliner instead. The palette costs $68 or £49. Not a bad deal for 16 eyeshadows and four blushes. Remember, the net product weight is 28g. Cargo's 12-shadow palettes are 10.8g. Lorac Pro 3 (review soon) is 8.8g in all, with 16 eyeshadows. The new Anastasia Beverly Hills Modern Renaissance Palette (review soon) has 14 eyeshadows weighing 9.8g together, and the pan-size is pretty much the same in all of these, so there is no compromise on quantity either. And, this is my current favourite neutral eyeshadow palette, "forsaking all others", as it were. Buy here for free and tracked worldwide shipping. American ladies may buy directly from Julie Hewett's website - free shipping within the US. Do you prefer brown-based neutral eyeshadows or do you like variety? Tell me in the Disqus comments widget below.